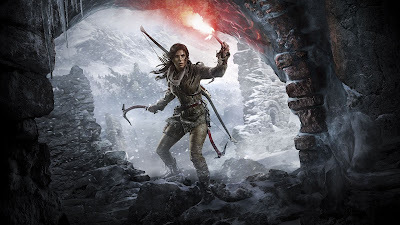 Rise of the Tomb Raider is the latest Gamefly game I sampled and I actually liked parts of it a lot. I definitely enjoyed it more than the first game in this reboot of the series. The first few hours of the game are full of action and adventure interlaced with story. I loved the time I was spending with it. But after the first couple hours I hit the main chunk of the game and suddenly they reintroduced the gathering/crafting/survival mechanics from the first game in the series... and then I lost all the steam I had built up for it. The gathering in particular changed the way I played the game. Now, instead of just pushing forward and enjoying the ride I had to constantly stop and search every corner. I had to wait for my special survival vision to recharge and then activate it as often as I could so I didn't miss anything critical to advancing my character and gear. I hate that advancement was suddenly tied to gathering in such a tight way. I especially hate it because the fun game I was enjoying was still there underneath it but now there was a level of busywork on top of it that I didn't want to put up with. I tried to push forward anyway but got fed up around the 5 hour mark. If you don't mind gathering/crafting/survival mechanics in the middle of your action/adventure game then I bet you would love Rise of the Tomb Raider. If not, it's probably better to steer clear of it.